Recently, a huge amount of empirical data in the online communication systems triggered an interdisciplinary research of social dynamics, in which statistical physics theory plays a crucial role. Linking the physics theory of complex systems with machine-learning methods of text analysis to capture the content (emotional, cognitive) in messages exchanged between users, we investigate high-resolution data on various Web portals and identify the structure of social groups and the emergence of collective behaviors. Furthermore, by designing agent-based models, where Bots and agents with human features interact in the same way as on Blogs, Chat channels or in the online social networks, we simulate the processes on these communication systems and determine the underlying mechanisms which lead to the observed collective phenomena. Researchers: B. Tadic more ...; Collaborations: Institute of Physics, Belgrade, Aalto University, Helsinki, OFAI Vienna, University Wolverhampton, CYBEREMOTIONS community. Cuprates, which become superconducting at high temperatures, still represent one of the major challenges within the solid-state theory. Besides not yet understood mechanism of superconductivity, also very anomalous normal-state electronic properties require proper theoretical description. We follow the wide-spread belief that strong correlations are responsible for non-Fermi-liquid behaviour of electrons in cuprates and analyse the prototype microscopic models, using mostly numerical methods for finite systems. Recenly, a novel aspect on these problems has been been opened by ARPES spectroscopy experiments on electron-doped cuprates. 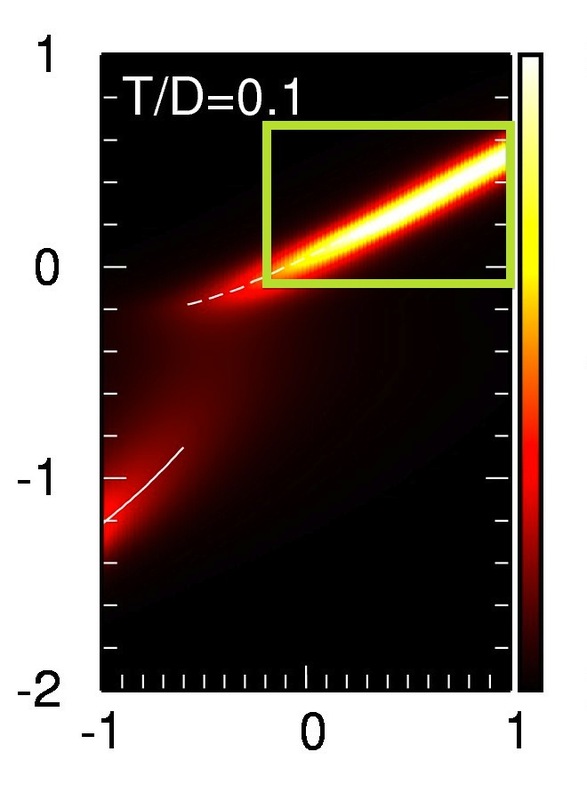 We evaluated model spectral functions, in particular the development of Fermi surface (shown on the figure) with doping, revealing the change of topology from a pocket-like to a large Fermi surface. Researchers: P. Prelovsek, I. Sega, M. Zemljic. Among ab-initio computer simulations, the density-functional theory (DFT) represents a very powerful tool to investigate the structure, stability and physical properties of different systems, including surfaces and nanomaterials. Using the DFT code as implemented in the WIEN2k code we investigate different Mo-based nanowires, like the Mo6S3I6, which has been synthesized recently and which has very interesting physical properties. The picture shows a longitudinal cross-cut through the nanowire and the valence electron density. Researchers: I. Vilfan.